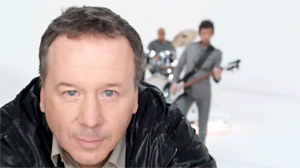 The complete antithesis to the dark and gloomy Home video, the now-familiar four piece Simple Minds were now gloriously lit in full Technicolor against a sheer white backdrop. 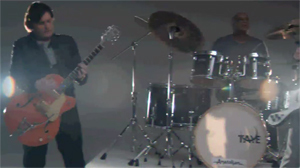 Two floodlights were placed either side of the diagonally arranged band to emphasize just how bright this one was going to be. 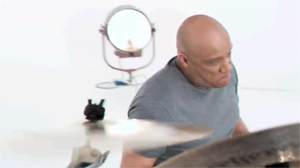 Whilst the rest of the band grooved away in the background, Jim was repeatedly assaulted by the flying camera which didn’t give him a moment's rest. 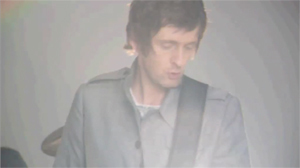 Brief glimpses of the others were seen, often with added facetted and colour effects, which initially looked like pixilation errors; these built up as the band reached the final third of the track. 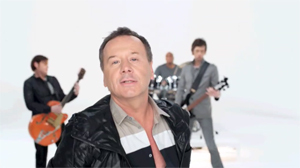 The video was effective and memorable; a welcome return to the simpler, straightforward studio performances of earlier years. 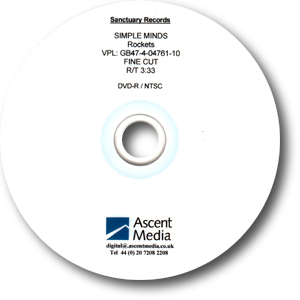 Four extremely rare promo DVDs of the video were produced and are now very difficult to find. 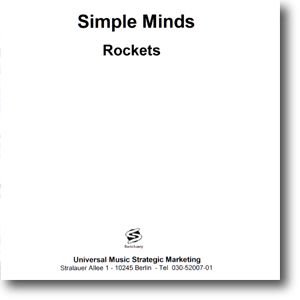 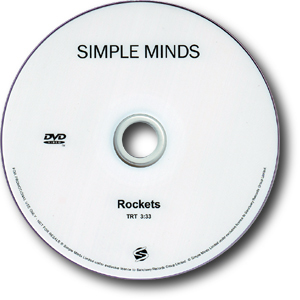 Rockets promo German DVD sleeve. 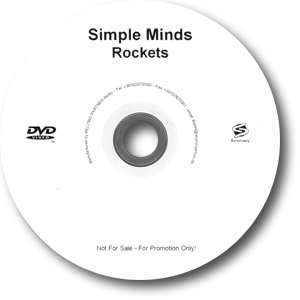 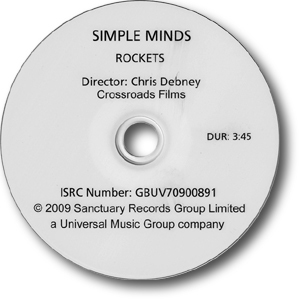 Rockets promo German DVD label.